Tried 2 recipes with much success today! 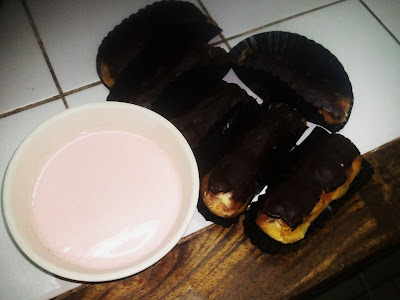 !Strawberry dadih recipe taken from HERE & vanilla eclairs recipe taken from one of my fave baking blog,Bisous A Toi. YUMMY! now I'm hungry for something sweet.